The four members of FireHouse: (from left to right) bassist Allen McKenzie, lead vocalist C.J. Snare, drummer Michael Foster and guitarist Bill Leverty. 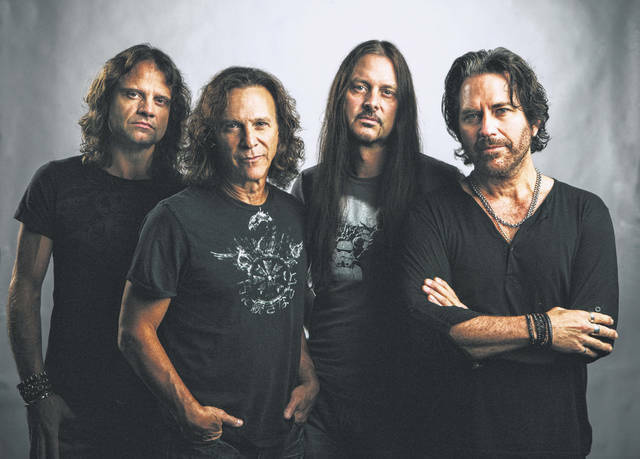 Winger is comprised of (from left to right) rhythm guitarist John Roth, drummer Rod Morgenstein, lead guitarist Reb Beach and front-man Kip Winger. TICKETS: $29-$125. 419-224-1552 or www.limaciviccenter.com. LIMA — Get ready for a blast from the past as two major players in early ’90s glam rock are heading to Lima this weekend. Both Winger and FireHouse are taking the stage at Crouse Performance Hall to play some of their hits from the late ’80s and early ’90s. 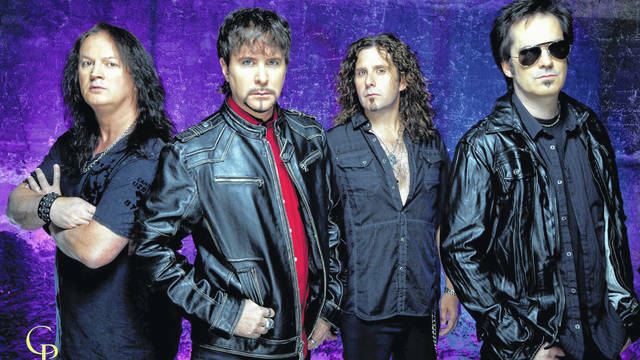 FireHouse’s hit singles from the early ‘90s include “Reach For The Sky,””Don’t Treat Me Bad” and “All She Wrote.” The band also grabbed the award for Favorite Heavy Metal/Hard Rock New Artist at the 1992 American Music Awards. Since their rise to fame in the United States, the band has achieved international stardom primarily in Asia, where they continue to tour. The band released its eighth studio album, “Full Circle,” in 2011. In similar fashion, Winger — named after front-man Kip Winger — also charted major singles, such as “Seventeen,” “Headed for Heartbreak” and “Miles Away” that rose to popularity by the early ’90s. Winger was also nominated for an American Music Award in 1990. As the years passed, the band’s popularity began to fade as grunge replaced glam rock, and Winger disbanded in 1994. Their latest tour is part of the band’s reunited act, which began in 2001. Since its reunification, the band has gone on to release three more studio albums. “If this concert was held in 1991, this would have been in front of 25,000 people at Nationwide Arena,” Ambroza said.